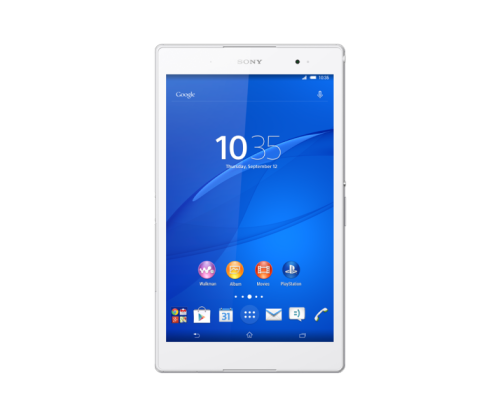 If the new Nexus 9 or even the Nokia N1 doesn't turn your crank and you want another medium sized tablet alternative, well the Z3 Tablet Compact from Sony can fill that need, AND it's water resistant! It's Sony's first foray into the medium tablets and it's destined to be a hit, if judging by the popularity amongst our own group here; Tom, Cass and Mark have all switched over to Sony. So what's this tablet provide? $529 might seem like a bit of a steep price, but again, let's see it, it's 32GB storage (which isn't common in tablets it seems) and it's WATER RESISTANT. That's a huge feature. Sure, it's not QHD, but for 8" it's just fine. And like most of the Z line now it will also act as a screen for your PS4 as long as you're within WIFI range of it. It also supports the new Hi-Res audio feature that they're starting to tout on their new headphones (I wonder what kind of media you'd need to be able to really show it off). Not a bad little tablet, and it'll be available starting Friday, just in time for your holiday shopping!